Here in Northern Michigan, nature and all of its beauty take center stage. So when it comes to lodging, a property that puts you in the heart of it all, at a reasonable value, seems like an obvious option. 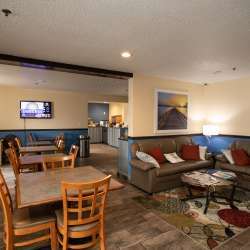 Welcome to Days Inn & Suites by Wyndham. 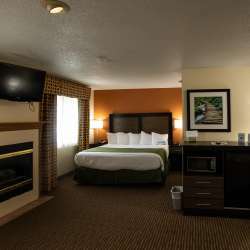 Located right in town on US 31 North, Days Inn & Suites definitely fits the bill. The property has 65 rooms, each of which features all the essentials, including a microwave, mini fridge, big screen TV, free Wi-Fi, etc. Some rooms also feature a fireplace and a Jacuzzi, which are perfect for an evening of relaxation after a busy day of enjoying nature’s bounty. In the morning, guests can grab a continental breakfast and quickly be on their way to their next adventure.